This document present the initial findings of the UNDP and UN Women’s analyses of 13 targeted joint programmes that promoted gender equality as a central goal, and a gender-mainstreaming effort within 117 MDG-F joint programmes that targeted other development areas - in line with its commitment to gender equality as a prerequisite for achieving all MDGs. This publication also presents the largest-to-date study that examines the effectiveness of combining targeted and gender-mainstreaming interventions to promote gender equality through a joint programming modality. It is hoped that the findings and recommendations presented in the following pages can substantively contribute to propelling accountability and coherence of the United Nations effort to promote gender equality through joint programming. Making Laws, Breaking Silence: Case Studies from the Field grows out of a high level roundtable convened by Penn Law, UN Women, UNESCO, UN SDG Fund, and IDLO in March 2017. The convening brought together over 30 legislators, judges, and policy experts from more than 15 countries to examine new developments and challenges in gender equality lawmaking under Goal 5 of the Sustainable Development Goals. The following case studies and essays expand on those deliberations and interactions and highlight some tensions in evolving law reform efforts around the world. Closing the enforcement gap in gender equality laws is often called the “unfinished business of the 21st century.” These reflections offer fresh insights and policy guidelines for UN agencies, multilaterals, government entities and civil society organizations charged with gender-based law reform. Challenging the global North’s dominance in the literature, this publication presents alternative approaches as well as creative responses to the challenges facing labour in the global South, in countries such as Argentina, Bangladesh, Brazil, India, South Africa and Uruguay. The volume devotes particular attention to areas often neglected by organized labour: the relationship between ecology, climate change and jobs; unionising service work; the dynamics of trade union−political party alliances; gender; and new forms of solidarity. It brings together a group of distinguished labour scholars and practitioners who make an important advance with their rich empirical case studies. Social protection policies play a critical role in realizing the human right to social security for all, reducing poverty and inequality, and promoting inclusive growth – by boosting human capital and productivity, and by supporting domestic demand and structural transformation of national economies. This ILO flagship report provides a global overview of the organization of social protection systems, their coverage and benefits, as well as public expenditures on social protection. The report follows a life-cycle approach, starting with social protection for children, followed by schemes for women and men in working age, and closing with pensions and other support for older persons. It also assesses progress towards universal coverage in health. The report further analyses trends and recent policies, such as the negative impacts of fiscal consolidation and adjustment measures, and urgently calls to expand social protection for crisis recovery, inclusive development and social justice. Why is female labour force participation declining so sharply in India? Through an examination of labour market trends, a series of scenario exercises, and econometric analysis, we analyse four prominent hypotheses of the root causes of declining female participation. The findings in this paper indicate that a number of factors were responsible for the recent sharp decline in estimated labour force participation rates among working-age women. Some factors, such as increased attendance in education and higher household income levels, are no doubt a positive reflection of rapid economic development. Additionally, we find evidence that changes in measurement methodology across survey rounds is likely to have contributed to the estimated decline in female participation, due to the difficulty of differentiating between domestic duties and contributing family work. However, the key long-run issue is the lack of employment opportunities for India’s women, owing to factors such as occupational segregation. 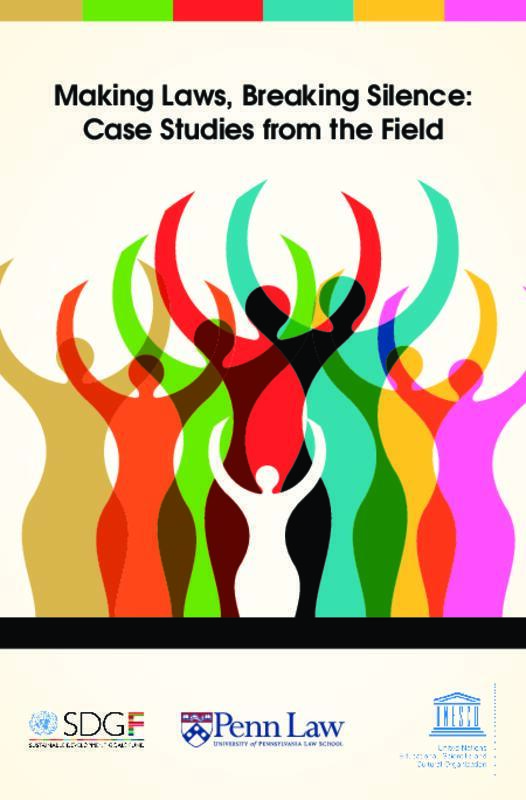 This publication provides an introduction to women’s human rights, beginning with the main provisions in international human rights law and going on to explain particularly relevant concepts for fully understanding women’s human rights. Finally, selected areas of women’s human rights are examined together with information on the main work of United Nations human rights mechanisms and others pertaining to these topics. The aim of the publication is to offer a basic understanding of the human rights of women as a whole, but because of the wide variety of issues relevant to women’s human rights, it should not be considered exhaustive. The purpose of this publication (part of the FAO series on sustainable food value chain development) is to facilitate the systematic integration of gender equality dimensions into value chain development programmes and projects. It raises awareness on gender inequalities and discusses the importance of addressing these dimensions in value chain development, while also building a common approach for work on gender-sensitive value chain development. It achieves this by bringing together key concepts from value chain development and gender and by providing concrete guiding principles for the integration of gender concerns into value chain development projects and programmes. This conceptual framework has a companion publication, Developing gender-sensitive value chains: Guidelines for practitioners, which provides specific tools to support practitioners in designing, implementing and monitoring gender-sensitive value chain programmes. This paper explores aspects of promoting rural women’s leadership in producers’ organizations (POs). Despite the vast amount of work that women perform in the agriculture sector, their role remains largely unrecognised. The concerns and issues of women farmers are scarcely heard at the local, national and global levels. One reason for this silence is that there are not enough women in leadership positions to be able to represent the interests of rural women. This shortage is compounded by women’s lack of voice in decision making processes at all levels − from households to rural organizations − and in policymaking. Ensuring that women have a greater voice is not only a matter of gender equality. Women’s leadership, especially in POs, is essential for increasing the production of smallholder agriculture, as women make massive contributions to the sector. Women leaders can advocate for women’s better access to and control over assets and productive inputs, thus boosting their productivity and incomes, leading to food security and increasing their employment opportunities and real wages. This paper has three main purposes: (i) to identify relevant aspects that relate to the promotion of rural women’s leadership within POs; (ii) to identify related good practices that are implemented by IFAD, the Food and Agriculture Organization of the United Nations (FAO) and their partners; and (iii) to present key messages and recommendations for guiding the design and implementation of interventions in support of women’s leadership. Given the context of transitions related to rapid urbanization, the roles that rural economies and societies will have to play (particularly smallholder farmers and other rural producers) in creating sustainable and inclusive food systems, in generating employment and incomes and in contributing to more balanced, equitable and mutually reinforcing patterns of rural-urban development in Africa require the attention of analysts, policymakers and development programmes in the years ahead. Addressing challenges related to a bulging population of young people will be particularly important in any work on the rural-urban nexus, in which youth migration plays critical roles. This is borne out by an analysis of evidence from sub-Saharan Africa and elsewhere, which stresses the importance of increasing productivity and incomes among rural people, particularly smallholders, during processes of economic and social transformation. Emerging trends and opportunities – such as the increasing demand for food and the changing nature of that demand as consumer preferences evolve, urbanization, demographic patterns that mean young people are an increasingly important proportion of the overall population, and more integrated food value chains – all point to the importance of ensuring key rural dynamics are taken into account in developing rural-urban linkages. Taking account of these dynamics will mean addressing key rural-urban inequalities and connectivity gaps, developing more integrated and inclusive links within food systems and agricultural value chains, testing spatial and territorial approaches to development that provide valuable tools to integrate the rural dimension into debates surrounding urbanization, the promotion of a more sustainable urbanization, and building decent employment in food value chains. Nonetheless, the review of evidence in this paper suggests that, while urbanization potentially opens up opportunities for inclusive rural and structural transformation, this can only be achieved when suitable policies and investments are put in place to adequately address the particular needs of often-neglected rural people who play critical roles in food systems. This paper is a guide to current debates about agricultural development. It analyses the changes in development approaches and thinking in recent decades and explores today's critical issues in agricultural and rural development policy. With the main focus on Africa, the paper also includes insights from Asia and Latin America. Fast-tracking the end of the AIDS epidemic by 2030 requires strong political leadership and commitment to stop new infections and deaths among young women and adolescent girls and eliminate mother to child transmission of HIV. This requires building on, and extending Africa’s commitments on sexual and reproductive health and rights, expanding ministerial commitments on comprehensive sexuality education and stopping early marriage, adolescent pregnancy and expanding treatment service coverage. This report draws on multiple sources to document the many ways in which communities are advancing the response to AIDS, and the evidence for the effectiveness of these responses. Core areas of community-based activities include advocacy, service provision, community-based research and financing; each of these areas is illustrated by examples of community-based actions. This report presents recent scientific evidence about the links between HIV, HPV and cervical cancer, and it supplies relevant epidemiological, screening, vaccination and innovation data. Ultimately, its goal is to (a) promote synergies between HIV and cervical cancer prevention programmes, (b) make the case for integrating cervical cancer prevention into existing HIV treatment and prevention programmes, (c) explain the opportunities for women’s health that exist in coordinating HIV and cervical cancer prevention, and (d) advance prevention and treatment literacy among affected populations. This publication is intended to: (a) provide fresh thinking on the transformative shifts in policies, approaches, strategies and institutions that are required to speed up poverty reduction in the Caribbean and also to expand opportunities for the most vulnerable groups in the society; (b) propose a new framework for assessing the effectiveness of existing approaches to poverty reduction in the Caribbean; and (c) offer new and innovative solutions to address poverty and promote shared prosperity.